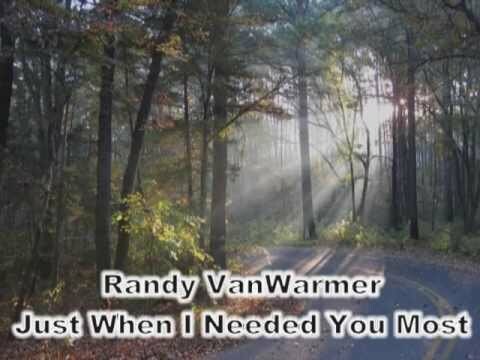 Just When I Needed You Most – Randy VanWarmer. “Just When I Needed You Most” is the title of a 1979 song by the American singer-songwriter Randy VanWarmer. VanWarmer and former Hot Chocolate member Tony Wilson co-wrote the track, which was produced by Del Newman and appears on the singer’s 1979 album, Warmer. It also appears on Tony Wilson’s album Catch One, produced in 1979 by Ron Albert and Howard Albert for Fat Albert Productions, Inc. This video was posted onto YouTube by its member ‘747orangejuice’ and I have reproduced it here even though it is not essentianly a devotional song, but echoes the sentiments and feelings of a person who has lost a loved one. This entry was posted in Devotional Songs and tagged 747orangejuice, Just When I Needed You Most, Randy VanWarmer, YouTube. Bookmark the permalink.